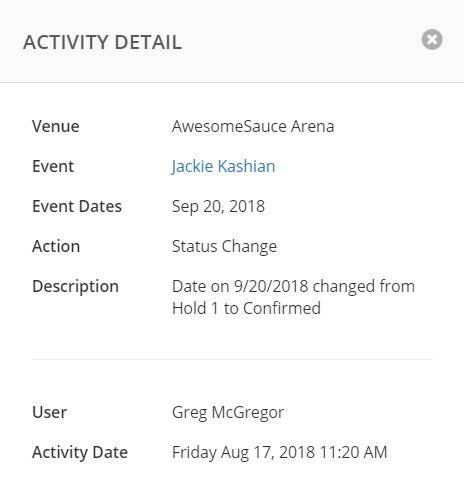 Adds a date to an event. Updates the status of a date. Updates the description of an event. Toggles the Offer Sent state of an event. Toggles the Challenge state of a hold. 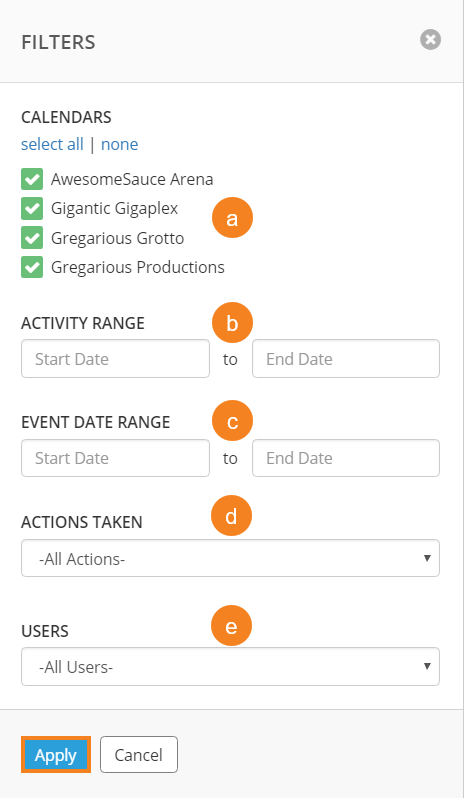 PromoterOps does not currently log additions, edits, or deletions of notes or blackouts. 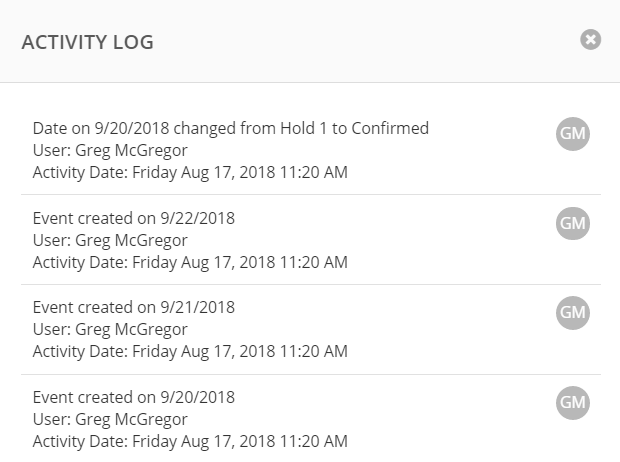 To view the logs, click Activity Log. The date the action was performed. The time the action was performed. The venue in which the event is booked. The name of the affected event. The action that was logged. A more thorough description of the action. The name of the user who performed the action. A link to the event's details page. The full description of the action. This comes in handy if the description is too long for the log list. 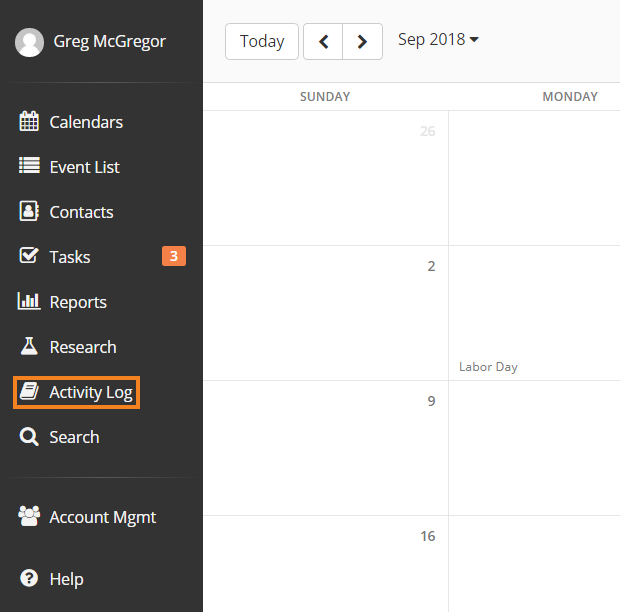 The date range of the logged activities. 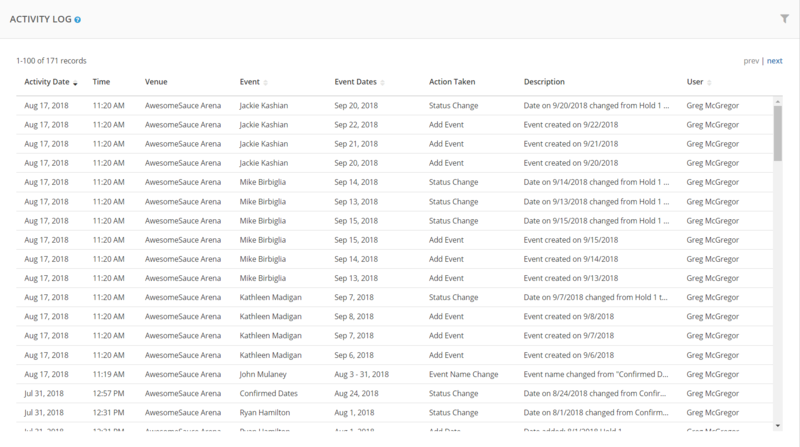 Events within a set date range. The type of logged actions. The user that performed the actions. Pressing Ctrl + R on Windows or Cmd + R on a Mac. Go to the event's details page. The user that performed the action. When the action was performed.